Barr confirmed acceptance of the nomination, the post requiring Senate confirmation, the Judiciary Committee likely to hold hearings after the new Congress convenes in January. The same holds for Trump’s nomination of State Department spokeswoman Heather Nauert to replace Nikki Haley as UN envoy. The Senate Foreign Relations Committee will hold hearings on her selection in January. More on her below. Public Citizen (PC) disturbingly supports Mueller’s Russiagate witch hunt probe into nonexistent improper or illegal Trump/Russia ties, notably related to nonexistent Kremlin election meddling. The Big Lie about it won’t die. He never should have been appointed special council in the first place, his mission a witch-hunt, not a legitimate investigation, finding nothing improper or illegal about Trump’s relations with Russia – after over 18 months of trying. Nor did House or Senate probes, millions of dollars wasted over nothing instead of investigating real crimes of state – ignored to suppress them. If confirmed as AG, Barr should put a timeline on Mueller’s probe to conclude sine die. Otherwise it could go on as long as he wishes, achieving nothing but phony charges on Russian officials, solely for political reasons. 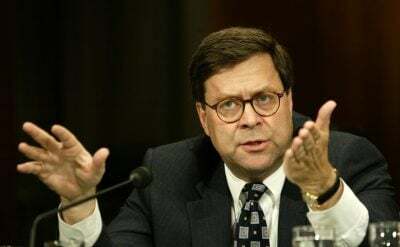 To his discredit, Barr urged GHW Bush to pardon Iran/Contra criminals. He supports unitary executive power, circumventing checks, balances, and other fundamental rule of law principles on the phony pretext of protecting national security. Like Nikki Haley, Heather Nauert is a Trump regime loyalist, a geopolitical know-nothing with no diplomatic experience. It showed in how Haley operated. The same goes for Nauert as State Department spokeswoman. She’s a former ABC News general assignment reporter – later a “news presenter” and contributor to Fox & Friends, a morning talk show. As UN envoy, she’ll continue acting as a mouthpiece for Trump’s imperial agenda, supporting his wars on humanity, hostile to sovereign independent states like other regime officials. The neocon/CIA-connected Washington Post reported that Trump is expected to name army General Mark Milley to succeed General Joseph (“fighting Joe”) Dunford as Joint Chiefs of Staff chairman. He’s due to step down next fall, perhaps sooner given information on his likely replacement disclosed. More Trump regime changes may come in the new year – his agenda likely to worsen, not improve.